WEsay Excellent snow reliability with access to 2 glaciers, an impressive lift system and an extensive network of slopes suited to the adventurous intermediate. 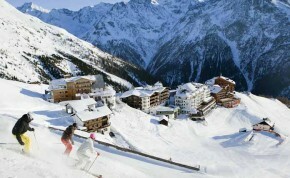 Offers a very lively apres ski & nightlife. Dominated by The Big 3 - the peaks named Gaislachkogl (3.058 m), Tiefenbach (3.250 m) and Schwarze Schneide (3.340 m), Sölden offers excellent snow reliability with its access to two glaciers. They tower above the sparkling snow of the lower hills and provide inspiration to the most uninspired skier, not to mention the views of the magnificent mountain ranges of the Tyrol from the tops of these beasts. There are black runs to be had and plenty of guided off piste to explore, however it will be the intermediates and advanced intermediates that fall in love with the verticals and long runs all over the mountain. Beginners are also catered for with blues and easier gradients lower down the mountain just above the village at Innerwald. Although the majority of the skiing is above the tree line, when shelter is required there are red and black runs through the trees back down to the village. There are also pistes as long as 12km run from the top of the glaciers to the bottom. There is a terrain park above Gioggijoch Gondola; with beginner and pro kickers, waves, rails, boxes and the all important chill out zone. Why not take five and admire the skills of all of the other riders, alternatively you can be safe in the knowledge they’ll be watching you! The lift system here is impressive too with two Gondolas either side of town servicing the mountain and you can easily dodge any interesting looking T-bars or buttons if they’re not quite your thing. Fancy doing something different with your mornings? Why not take advantage of the free shuttle bus that runs between the two gondolas and to the neighbouring villages of Vent and Langenfeld. 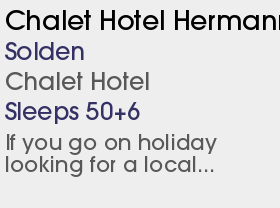 The option to venture further afield is there but why you would want to leave the Sölden area we don’t know! 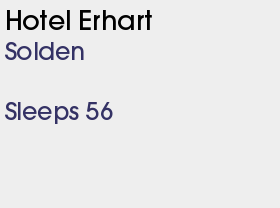 Sölden and Obergurgl (20 minutes up the valley) will conduct a shared lift pass. A new restaurant is to open on the Rettenbach glacier. The Giggijoch gondola (one of two gondolas from resort level) has been queue-prone and will take the place of a new 10-seater gondola that will transport 4,500 people per hour 60% more than the previous gondola and the highest capacity of any lift in the world. There will be a new ski and boot storage facility at the top station. The resort featured in the James Bond movie Spectre, with some scenes shot in the glass-walled Ice Q mountain restaurant.